You are here: Home / What Is The Value Of Your E-Juice? What Is The Value Of Your E-Juice? What is the yardstick by which a man or woman measures the value of their e-liquid? Is it measured by who makes it? Is it measured by the taste? Do you judge it by the price? How do you really determine what e-liquid is the best for you? Many people start their electronic cigarette journey with a certain brand of e-liquid and they form a strong bond with that brand. Or they may discover a certain brand and get attached to it such that no matter how many others they always try out, they inevitably go back to their favoured one. Other people may prefer a certain manufacturer because they are convinced that it is that maker who attends to matters of quality so they feel safe consuming e-juice only made by that company. Could this be why you are sticking with your particular brand or brands? Vaping is a very personal thing. Someone may start with e-liquid of a particular maker and they like the taste. When they try something else, it does not measure up and that reinforces their belief that there is only one maker of great e-juice. 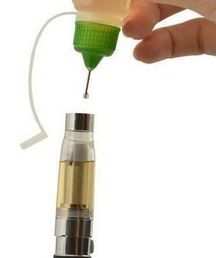 Did you know that the base liquid plays a huge role in the taste that an e-liquid has? It will therefore follow that if a company uses a certain base for a certain flavour, then all their range of flavors will most likely have the same base, hence all the e-juice of that company tasting great for you. Are you making e-liquid value decisions basing on the taste of those e-liquids? Now, this is a very interesting matter. We all have our own beliefs about price in relation to value. There are those who firmly believe that the higher the price of something, the higher the value of that thing must be. Because of this, there are people who will not even touch some things with a long pole just because those items are priced below their threshold of minimum acceptable price. The higher, the better! On the flip side, there are those who feel that highly priced items are just rip-offs not worth the hype. For such an individual, prices must fall within a certain range to qualify as good value for e-liquid or whatever it is that they wish to buy. It is for such differences in opinion that one person will buy 10ml at $20 and another will buy it at $4. To each their own! Do you judge your e-liquid’s value by the price you have to pay for it? The issue of how one judges the value of their e-liquid is really an exploration of who you are and what motivates you to make the decisions that you make on a day by day basis. By posing this question in the discussion above, the idea is to prompt you to think a little more deeply about why you make the decisions that you make. As the ancient Chinese sages put it, self knowledge is the greatest of all powers that one can possess. Do have it?